Vaishravana, Heavenly King of the North, who became the celestial Dharma King early on in Buddhism. 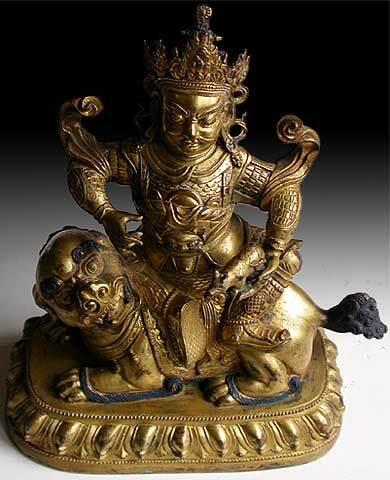 He is a popular God of Wealth, the protector of dharma greatly worshipped in Tibet. 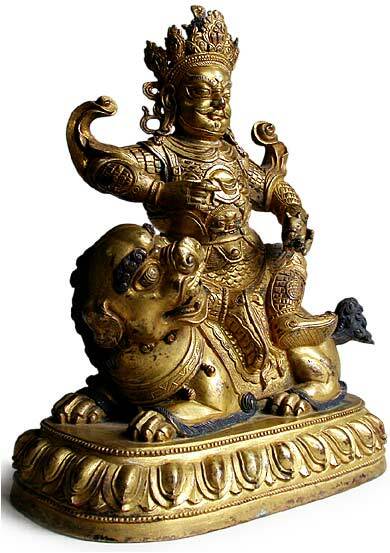 Stylistically and characteristically common with a number of Vaishravana exhibited in the 18th and 19th century Tibetan sculptures, this gold gilded Vaishravana imparts strength and vigor no less. 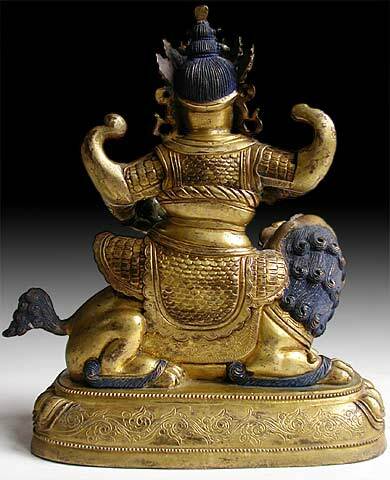 The face of the God of Wealth is calm and dignified, he is dressed in armor, holding a mongoose in his left, and a victory banner in his right which is now missing. 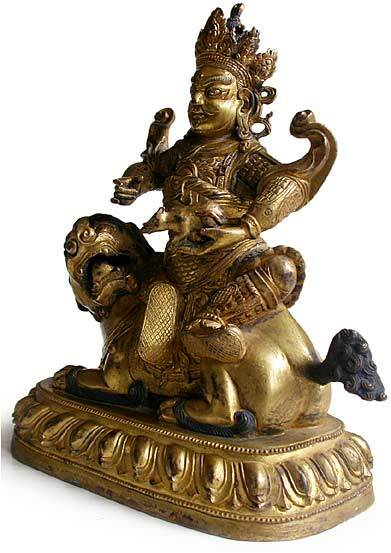 Vaishravana is seated sideways on a howling snow lion above a rectangular base. There are seventeen double lotus petals on the base that do not extend completely around. The back of the base is engraved with intricate motifs. The statue has been cast in one piece. 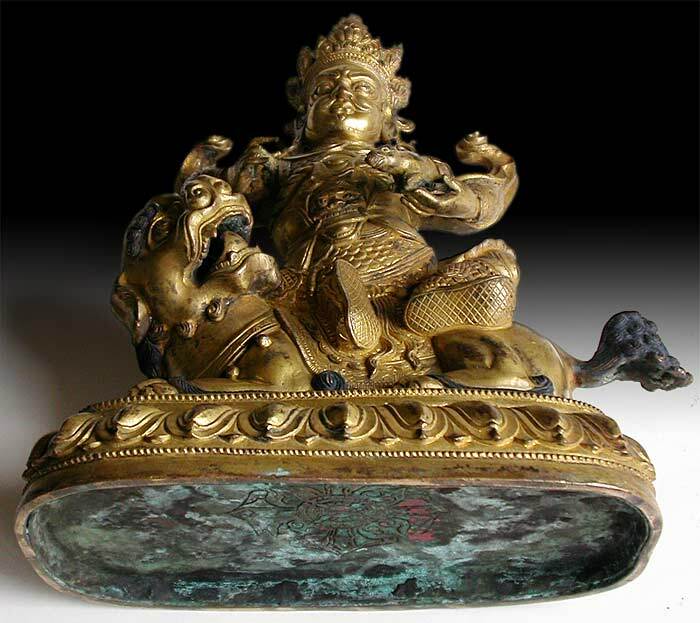 It is closed with a large double vajra copper plate. The statue is very heavy, which indicates all original objects of ritual blessing remain sealed within.